Are you one of those people who throw down a protein shake after you workout or even a few times a day? I am. I do recommend that people choose whole foods such as chicken breast, fish and lean meats to get enough protein each day, but a protein shake after you workout is the fastest way to get some fast absorbing protein to those bulging biceps after a grueling workout. Well it turns out there was some testing done recently into what actually gets thrown into our favorite post workout beverages, and surprisingly they found that a few popular brands contained traces of heavy metals. Tom Venuto did some digging into the study and has some good recommendations for us below. Check it out. “We purchased 15 protein powders and drinks mainly in the New York metro area or online and tested multiple samples of each for arsenic, cadmium, lead and mercury” said Consumer Reports. (1) Some people and organizations are questioning the choice of 3rd party lab used by Consumer reports, as well as the definitions for acceptable safe levels. Heavy metal contamination is a particular health concern for certain populations including infants, young growing children, women of childbearing age who plan to have kids soon, pregnant women, and nursing women. However, I don’t believe this report is a reason for panic or giving up moderate use of protein supplements. Due to all the publicity, I imagine that the few companies named will write rebuttals or responses, and if necessary, simply tighten up their quality control. Probably, the industry in general will start posting more information on their testing, safety and quality standards. Some companies have reassuringly already done so on their websites (which has probably boosted their sales, not hurt them). I think this is mostly a non-issue. Consumer Reports is a favorite publication for many people researching purchases of cars, electronics and appliances. They were probably well-intentioned in their protein article (although who knows what underlying biases might be there). In the future, however, I’d like to see these types of tests performed under scientific scrutiny and get the results published in a peer reviewed journal. This way, we can review the test results, read about the experimental methods and get the evidence-based facts about protein requirements and contaminant safety standards, rather than depend on journalists whose usual job is comparing brands of toasters. While it’s fine and good that this info was published, what really bothers me about the write up is that it seems their journalists are using these test results as ammo to attack the entire idea of taking protein supplements and eating a high protein diet. “You don’t need extra protein” and “high protein diets damage your kidneys,” claim Consumer Reports. They also quote a dietitian who said the body can only utilize 5 to 9 grams of protein per hour. I’d like to see a research citation on that one! 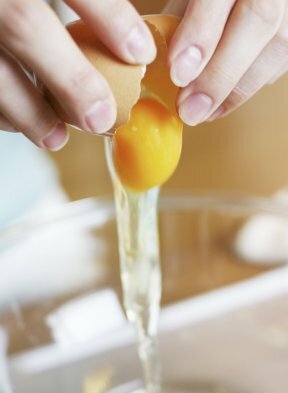 They are clearly perpetuating some of the same stupid myths about protein that bodybuilders and strength athletes have had to debunk for years. When mentioning how cadmium is toxic to the kidney, they added, “the way that high protein is bad for your kidneys.” That is false. A high protein diet (on par with what a strength athlete would reasonably consume), is not damaging to a healthy kidney. High protein diets are contraindicated for patients who already have kidney disease and caution is warranted in certain populations where risk of sub-clinical kidney conditions may be present or where there is kidney disease predisposition. That’s not the same as saying eating a high protein diet causes kidney disease. 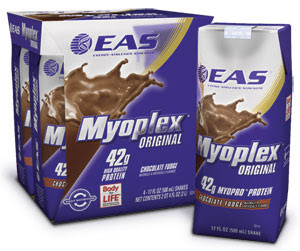 Protein marketing can sometimes border on the outrageous today - with all kinds of claims made for muscle gain, fat loss, enhanced performance and even anti-aging. The truth is, protein supplements are just food - powdered or liquid food - they’re NOT magic! A lot of muscle and fitness fanatics today depend way too much on supplements and not enough on whole, natural foods. 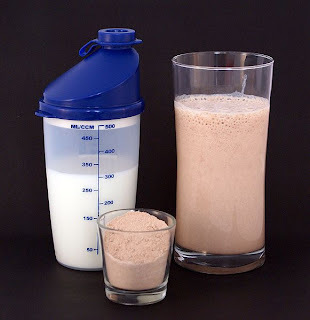 How many people actually drink 3 protein shakes a day, every day (21 a week)? I don’t know. No one in my circle does, and it’s not something I recommend. In my Burn the Fat, Feed the Muscle program, I recommend eating mostly whole food, eating a variety of foods and using protein shakes or powders as an occasional supplement for convenience or if you need a supplement to help you meet your optimum level of intake. Personally, I use protein powder once a day in my oatmeal and I enjoy an occasional protein shake - you can make some pretty tasty smoothies if you add things like fruit, peanut butter, ice, etc. I don’t plan on stopping. Some people are freaking out over this. I know the personality type: certain people will say, ‘No way, if there’s ANY heavy metal in any protein drinks I’m not taking them at all! Why take a chance?” Seems prudent, except that most of the protein drinks tested were well within safety limits and all were within limits with more moderate usage. Besides, small exposure is inevitable anyway. What’s in the whole food you’re eating? If you pressed the issue, you could find some substance to gripe about - including heavy metals - in many of the foods you eat daily right now - yes, the so called “clean foods” - dairy products, fruits, vegetables, lean meats, fish, shellfish, etc. (1) Too much of anything can be bad for you, so don’t go crazy with protein drinks or protein foods (or too much of any one type of food). (2) Avoid diets that make you dependent on protein shakes or meal replacement supplements. (3) Don’t believe everything you read in the mainstream media until you check out the real science for yourself. (4) Use Consumer Reports when you want to know what car or camcorder to buy. Take their bodybuilding and sports nutrition info with a grain of salt. Disclosure: I have no affiliations or associations of any kind with any protein or supplement companies. yesterday, I subscribed to your feedburner and received a confirmation email. but I did not receive any email today informing me of this new post. is there something wrong or will the feedburner work after the promo? you are also on my google reader and that's how I was notified of this new post. I just thought I'd let you know about the feedburner thing. Did you end up getting it today Allan?